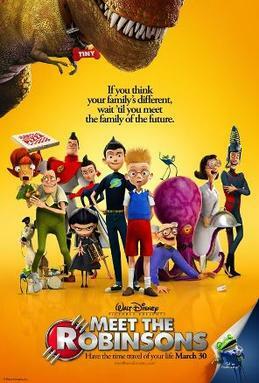 I recently took my family to see the Disney movie Meet the Robinsons in 3D, yet I couldn’t discern any 3D. Yes, I did have my glasses on, as instructed. I still couldn’t see anything in 3D. What a rip off! This is a terrible customer experience. I paid extra to see the movie in three dimensions, yet I was only able to view it in two. I want Walt Disney to come to my house and act out the movie for me. I can get my money’s worth and he can fulfill his contractual obligation. I wonder if I can sue Disney? If you are a lawyer, would you please weigh-in on this? But seriously: This was my first 3D movie, so I didn’t even realize I had this problem. Now I wish I had never gone! Instead of the comforting allure of knowing I will get around to seeing a 3D movie, I am now confronted with the cold reality of never being able to see a 3D movie. Ever. How is this even possible? I thought seeing in three dimensions was the default view! Everyone else in my party was oohhhing and ahhhing at the 3D, so I suspect it was just me. I have a lazy eye, so that may make it difficult to see the effect. If you do go see it in 3D, I’d love to know what you think. It’s a fine movie. The kids and Holly enjoyed it. (They even saw it twice–once in plain, once in 3D). I enjoyed the story, although it got a little freaky toward the middle. Somehow they manage to pull all the different story threads together in the end, with a satisfying resolution. To be honest, I can’t even remember the plot anymore, but I wasn’t upset about the story.